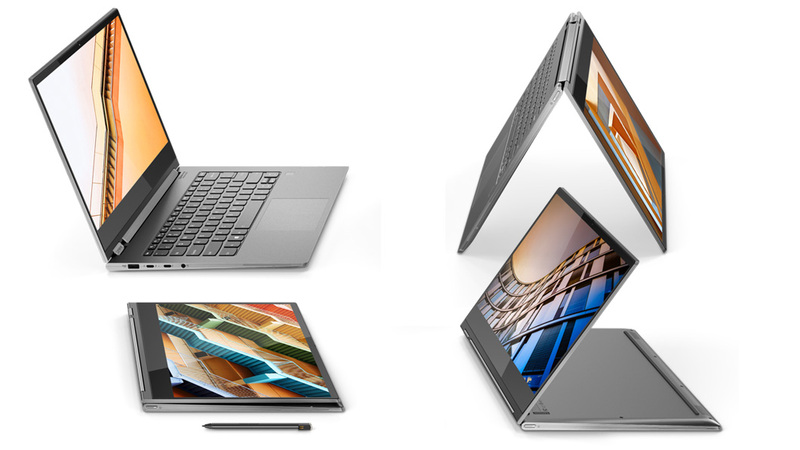 Lenovo is late to its own party as even retailers have the flagship Yoga C930 in stock before the official OEM launch. We can confirm that some retailers have been shipping the latest Lenovo convertible to consumers earlier than expected. Lenovo made public its proper successor to the Yoga 920 at IFA 2018 with a promised launch date in October. While the system is not yet shipping in the U.S., German retailers like Campuspoint.de are already listing at least one SKU in stock for an asking price of 1400 Euros. The configuration in question appears to be the entry-level SKU with the Core i5-8250U CPU, FHD touchscreen, 256 GB SSD, and just 8 GB of DDR4 RAM whereas the higher-end configuration with the i7-8550U, 4K UHD touchscreen, and 16 GB RAM is currently nowhere to be found and will not likely be made available until a later date. The flagship Yoga C930 is a notable launch for several reasons. It is set to kick start Lenovo's new naming convention for consumer laptops and it will also represent the best that the consumer Yoga series has to offer. Its integrated active stylus, dual Thunderbolt 3 ports, larger speakers, and new hinges are a brave new direction when compared to the thinner and lighter last generation Yoga 920 that the Yoga C930 is set to replace. Expect our full review on the aforementioned entry-level configuration before the system even becomes available in the U.S. since units are already out in the wild.